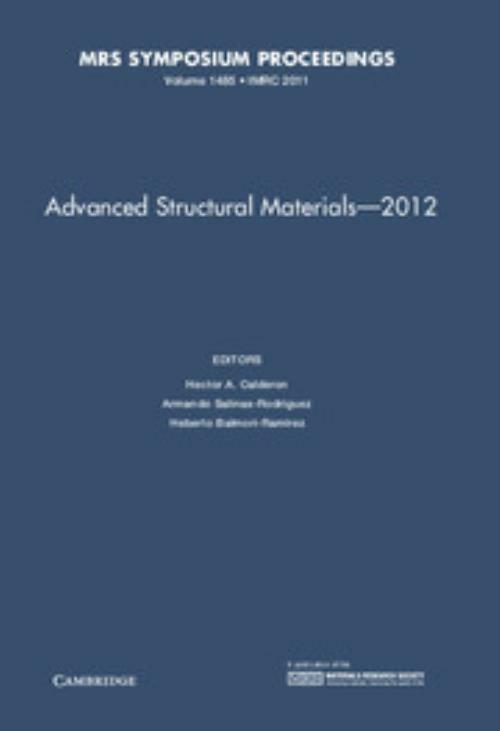 This volume is a compilation of papers that were presented at Symposium 7D of the XXI International Conference of the Mexican Academy of Materials Science – MRS Mexico, organised in collaboration with MRS, 'Advanced Structural Materials', which was held from August 13th to 18th, 2012 in Cancun, Mexico. The symposium was devoted to fundamental and technological applications of structural materials, and continued the tradition of providing a forum for scientists from various backgrounds with a common interest in the development and use of structural materials to come together and share their findings and expertise. 26. On the characterization of eutectic grain growth during solidification. Armando Salinas-Rodriguez Instituto Politécnico Nacional, Mexico.